Comunitat Valenciana is a region of Spain located in the Mediterranean Sea shore. Valencia, Alicante, Castellón, Dénia, Gandia, Benidorm or Benicàssim belong to this amazing region. Apart from its warm climate, it is well known by its idyllic beaches, charming picturesque villages, art, lively nightlife and cuisine. The famous paella comes from the Region of Valencia. 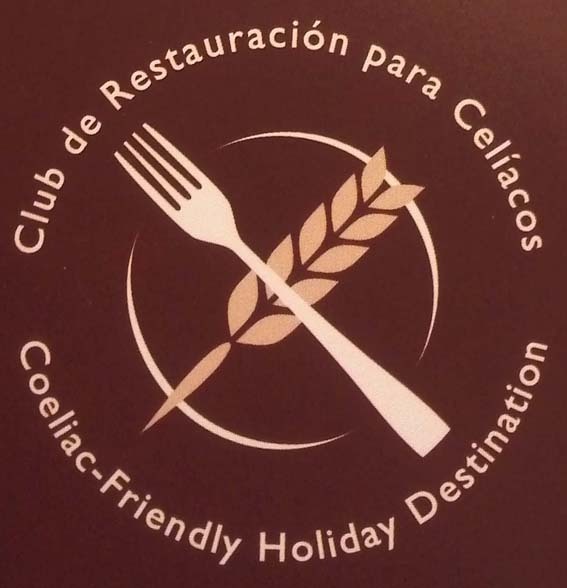 And it is also one of the Spanish paradises for coeliacs / celiacs, because it has the first gluten-free club of restaurants of Spain. Thanks to the cooperation between ACECOVA (Coeliacs Association of Comunitat Valenciana) and different hotel and restaurant societies, this project was launched and today more than 100 restaurants from the three province (Castellón, Valencia and Alicante) are involved. All of them have yearly training, counselling and control, so they can offer safe gluten-free dishes with all the guarantees. babel, from the blog: http://glutenfreeporsupuesto.blogspot.com.es/ recommends us to read the reviews of some of the restaurants of the club at: http://restaurantessingluten.blogspot.com.es/search/label/valencia. This information will be useful if you are thinking in coming to Las Fallas. From March 15 to 19 Valencia celebrates Las Fallas, a feast of pyrotechnics, fireworks and bonfires. Sí, las buenas iniciativas hay que darlas a conocer! Claro que es de interés! Con tu permiso lo incluyo en el post. Por supuesto. En uno de esos blogs norteamericanos que descubrí se votaba a Nueva York como la ciudad más amigable para una diega gluten-free, y el mejor destino Italia. Por poco tiempo... Aupa SGF!!! 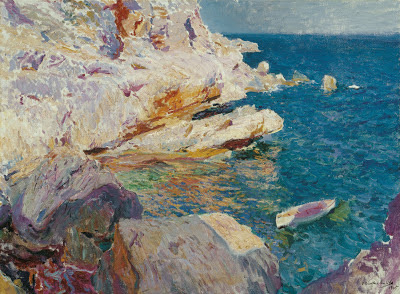 Bellísimo Sorolla. me encanta cada consejo de este blog!! si vais a la comunidad valenciana no dejeis de visitar malkebien, me encanto este restaurnate!! Where are the lists of the bakeries that make gluten free bread? Not pastries and desserts. Not restaurants. Bakeries. I can always find a bakery to get a fresh loaf of healthy GF bread in cities France and Italy (and have done so for past 12 years) but I can't find any resources for this info in Spain. I don't eat packaged white breads from Schar they are not good food. I need a bakery to go to in Spain or some idea of how to find the places that would have fresh, multigrain GF breads. I have been into a handful of Bio bakeries (usually the places I can find GF bread in other countries) but I have had zero luck.